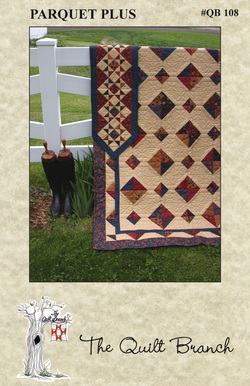 Use your stash of fat quarters to create this interesting lap quilt! The "plus" is that you will be using the cutting corners technique and the "pieces trimmed away" will be used to make the pieced border for the quilt & the table runner. Finished quilt measures 62" x 80" and the table runner is 45" x 15".